ASTM / ASME SA 276/479 Stainless Steel Square Bar, Werkstoff Nr 1.4104 SS Square Bar. Gunratna Metals, Based in Mumbai, is linked with offering a huge variety of Stainless steel square Bar | stainless steel square bar | ss square bar (SS 430F Square Bars) as a maker, exporter, stockiest and provider to our household and worldwide customers. Stainless Steel Bars (SS 430F Bars) can't be welded because of its high sulfur content. The square bars are available in two dimensions- ASME and ASTM. They are carrying various surfaces such as sandblasting finished, hairline, hrap, cold drawn, polished and hot rolled pickled.The bars are tested in the labs and certified mills to make sure their perfection. Also, they meet almost all the international quality standard. Stainless Steel Rods (SS 430F Rods) can be hot worked by at first bringing the material to 816 Deg C (1500 Deg F) and afterward gradually to 1066 Deg C to 1149 Deg C (1950 Deg F to 2100 Deg F). As for national and universal nature of crude materials, we likewise offer these UNS S43020 Square Bars in altered sizes and thicknesses according to particular requests by our regarded customers at showcase driving costs. 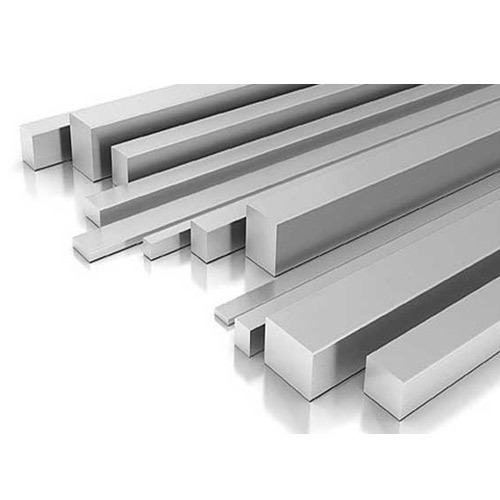 Gunratna Metals Supplies Stainless Steel Square Bar in Agartala, Agra, Agra Rampur, Ahmedabad, Aizawl, Ajmer, Aligarh, Allahabad, Alwar, Amaravati, Ambala, Ambattur, Ambernath, Amravati, Amritsar, Aurangabad, Bangalore, Bareilly, Belgaum, Bhagalpur, Bhavnagar, Bhilai, Bhiwandi, Bhopal, Bhubaneswar, Bidhannagar, Biharsharif, Bikaner, Bilaspur, Bokaro, Chandigarh, Chennai, Chittoor, Coimbatore, Cuttack, Dahod, Davanegere, Dehradun, Delhi, Dhanbad, Dharamsala, Dindigul, Diu, Durgapur, Erode, Faridabad, Fatehpur, Gandhidham, Gandhinagar, Ghaziabad, Greater Hyderabad, Greater Mumbai, Greater Warangal, Gurgaon, Guwahati, Gwalior, Haldia, Howrah, Hubballi-Dharwad, Hyderabad, Imphal, Indore, Jabalpur, Jaipur, Jalandhar, Jammu, Jamnagar, Jamshedpur, Jhansi, Jodhpur, Junagadh, Kakinada, Kalyan-Dombivali, Kanpur, Karnal, Kavaratti, Kochi, Kohima, Kolhapur, Kolkata, Kota, Lucknow, Ludhiana, Madurai, Mehsana, Mangalore, Mangaluru, Mira-Bhayandar, Moradabad, Morbi, Mumbai, Muzaffarpur, Mysore, Nagpur, Namchi, Nasik, Navi Mumbai, NDMC, Nellore, New Delhi, New Town Kolkata, Noida, Oulgaret, Pali, Panaji, Panipat, Panvel, Pasighat, Patiala, Patna, Pimpri-Chinchwad, Port Blair, Puducherry, Pune, Raipur, Rajkot, Ranchi, Raurkela, Industrial Township, Rourkela, Sagar, Salem, Satna, Secunderabad, Shaharanpur, Shillong, Siliguri, Silvassa, Solapur, Srinagar, Surat, Thane, Thanjavur, Thiruvananthapuram, Thoothukudi, Thrissur, Tiruchirapalli, Tirunelveli, Tirupur, Tumkur, Udaipur, Ujjain, Ulhasnagar, Vadodara, Vapi, Varanasi, Vasai-Virar, Vellore, Vishakhapatnam. Gunratna Metals exports Stainless Steel Square Bar to Countries like India, United States, United Arab Emirates, Canada, Pakistan, Peru, Chile, Spain, France, United Kingdom, Indonesia, Israel, Iran, Kuwait, Mexico, Malaysia, Serbia, Singapore, Taiwan, Chile, Venezuela, Ecuador, Saudi Arabia, Netherlands, Brazil, Colombia, Ghana, Iran, Denmark, Poland, Australia, Afghanistan, Bahrain, Costa Rica, Egypt, Iraq, Jordan, South Korea, Kazakhstan, Sri Lanka, Lithuania, Norway, Oman, Philippines, Poland, Qatar, Russia, Vietnam, South Africa, Mexico, Turkey, Hungary, Algeria, Angola, Argentina, Austria, Azerbaijan, Bangladesh, Belarus, Belgium, Bhutan, Bolivia, Bulgaria, Croatia, Czech Republic, Estonia, Finland, Greece, Italy, Japan, Libya, Romania, Thailand, Trinidad & Tobago,Tunisia, Ukraine, Yemen, Hong Kong, Gabon, China, Portugal, Switzerland, New Zealand, Sweden, Slovakia, Kenya, Lebanon, Morocco, Mongolia.